February 1 is coming closer and that will be the day! Mailings about The Rocket Swing release are buzzing around Europe. Requests for info are coming in. New connections are made on social media. 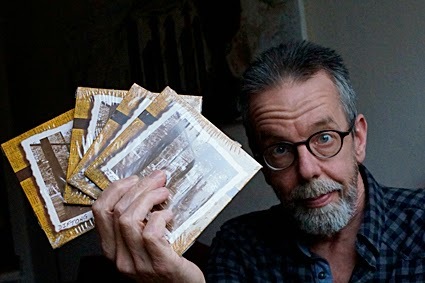 And - I am so happy about this - the album will be for sale in the Lucky Dice webshop, which in my opinion is as close to Americana Heaven a person can get in this little country: http://www.luckydice.nl. All this brings me to the question what to do with this blog, once the CD has been released? I think I will go on using it as an appendix to my newsletter. That way I can send fans short and factual news in an e-mail and write some background in this blog. I will shorten the title to "The Rocket Swing", leaving the link as it is. Remember, as from February 1 The Rocket Swing CD will be for sale. It has been a blast making this album and I am so proud of it I almost burst.